Ask Ramit: How do you choose ONE passion? When I graduated from college, I was working on 9 projects. NINE. I was doing a startup…I was working on an ebook…I was doing this, I was doing that. People’s eyes would glaze over when they asked me what I did. My problem was I didn’t know how to choose. I didn’t want to close the door on all these other interests of mine, and it’s not like ONE was the overwhelming choice. I liked them all. The code words I used were very telling. I would say “it can’t hurt” — it can’t hurt to dabble in a bunch of things and find out what I like, right? Actually, IT CAN HURT VERY MUCH!! I learned this — and I learned how to choose your passion when you have too many options. Watch my answer in today’s Ask Ramit video. Question for you: How does it feel to not be able to choose from multiple passions? Comment below and be specific, please. I’d love to hear your story. I think it would be awesome to be able to have a clear picture of what you need to do for work. One of my goals is to choose better. I feel I’m forever refining this. I know I’ll never be perfect. I can get closer to my goal. An specific example is that I was in the middle on a new option for my career path. I finally talked to a co-worker. Realized that it won’t make a difference in pay. I was told that I would make “twice as much money if i choose to be a school psychologist instead of a teacher.”so that makes me question what the other person said. Some people’s opinions was that I would be very good at it. I can be very good a quite a few things. That cost me quite a bunch of time, to be specific –more than four, five months. I am learning that I only so much time in a day. Even now I am thinking about what about “flexibility” and on and on. if I don’t decide and test out my beliefs I’ll be in limbo. Finding your passions can be challenging for a lot of people. Try a lot of things and if you are just starting out in your career, you can try 10 different things because if you don’t try you will not know what you like best. Instead of looking for a specific task or job that you enjoy, try to find an underlying theme among a variety of things that you find interesting. Everyone has a mental picture of what their career “Should” look like and this is the most challenging thing to let go even if you have some sort of understanding of what your interests and passions are. I can tell you 1 thing though – when you know what your passion is, it is like being in love. You just know. It is like your psychology and physiology and everything else become aligned. Thank you for this. I have always been one to jump from hobby to hobby, passion to passion. First it was writing, then it was singing, then it was cooking, then it was writing again.. maybe I should become a singing songwriting chef! Just kidding. Career wise I have never had a clear idea of what I want. I would have to say that it feels frustrating. It felt as if I’m making up excuses to avoid doing something, and honestly I feel pretty lousy about the whole situation in general. So like the person who asked the question, I’ve started exploring different career options. Incidentally the same ones, selling, teaching. The thing is though, I’m not sure you can get a handle of what a job is REALLY like unless you get at least a control group of like 3-4 people to ask about how the job is like. And even if you get told what the daily tasks are, and what surprised them the most, and other things.. who’s to say that YOU will like or dislike it. I tried telemarketing, it was kind of funny at times, but I just felt a bit iffy about the general concept and the product was a bit overpriced… so I ended up quitting. And unfortunately I’m not even sure what I want my job to be like. I have vague ideas like creative, and well paid, with many independent projects.. etc. Even when I really ask people about what their job is like, I end up just as confused as I was before asking. Do I want to do the job? Do I not? So I moved to LA two months ago to pursue editing in the entertainment industry (film &TV). I’m finding it really hard to break into even an entry-level job, even though I know I’m qualified! I definitely want to edit, but is it wrong to market myself as multi-talented? Could that actually be hurting me? I suggest you get a mentor, find a area of editing where you really like, and practice the hell out of it, make demo tapes that is awesome and fit your style of editing. Hollywood is a small world. Very hard to get in. But once you get in you’re in. So, yeah you don’t want to talk about your other skills if you want to edit only. (for any job you apply you only talk about the one skill that CAN HELP the company hence they hire you then). I suggest you read alot more on this Blog. You can get in though many different ways, once you work in the same building where the editing room is that’s a good start. Awesome! Your timing and this topic could not have been better for me. Confusing and complicated, at times. Frustrating, most of the time: when I feel I’m leaving off my daily activities so many things I wanted to do – and at the same time feel I’m not progressing fast enough or reached the level of ability I consider satisfying, with the ones I did. Still it’s so hard to focus just on fewer things! Cal Newport, who wrote “So Good They Can’t Ignore You,” would argue first that you need to master a valuable skill, and by the doing of that skill, your passion for it will grow. Taking an inventory of your skills and maybe brainstorming about the problems those skills could solve, could be a start. Also, think about the kinds of people you want as co-workers or customers, Where do they hang out or congregate? I heard someone describe the job search as similar to dating. You don’t marry someone after the first date (though it could happen). Typically, you date some people, you spend a longer time with someone, then you decide it’s time for a long-term commitment, etc. Job hunting is kind of like that — use Ramit’s techniques for talking to people, visiting workplaces, getting a feel for things — spend some time shopping. This topic drives me crazy, so I have to thank you Ramit to talk about it. I feel like I have several problems; first, the choices are huge; second, the fear about making a mistake and doing something you hate; third, that you might like something you don’t know/ cannot imagine you like it (can anybody imagine how being a shaman is? you might love it!). I love making and creating, and have since I was three years old. I taught myself a lot of crafts and art things, which all came easily to me. As a college freshman, I took an art class for fun – and every one of my projects was put on display in the “normally senior art majors only” art center gallery show! So here I am, decades later, doing the same work I did to put myself through college with that “practical” degree, and basically earning the same amount, too, when you adjust for inflation. In the past couple of months I’ve learned spinning, and weaving, and am discovering that I am a natural at it! So I’m looking for a loom to buy, and at doing custom weaving. Eventually I’ll earn enough from that, that I can become an artist supported by my art. Hey Ramit, The question is rather universal because with few exceptions almost everyone has multiple passions or things they really like. usually they spring from our childhood, what we’ve grown up with or what we may have seen in others or experienced at some previous point in our lives. It’s similar to liking hamburgers and ice cream. Would you rather eat hamburgersor ice cream then would be a question of you trying to decide between two different options – both of which you love. How do you make such a choice? Well, there is a way to do it, of course, but you MUST be focused. Dream jobs are in a similar vein. We may love a passion or vocation but a field we may pursue as a hobby,for example, may take on an entirely different tone if we try to work at it as a profession. we need to distinguish between the viability of our passions to help in narrowing down the choice of a true “dream job”. Thanks for the video Ramit! After graduating with a B.A. in environmental studies (a very broad curriculum at my school) in May. I initially felt extremely overwhelmed with all the different career paths that lay ahead of me, especially since my passions are in different industry settings (business, small business, government/public, nonprofit, grassroots organizing) While it has been frustrating and at times anxiety-inducing thinking about “settling” on a career, I’ve been able to quell my fear by seeking leaders in industries and companies that I aspire to be like. How do you know if you will enjoy something long-term? I tend to go through a honeymoon period with any new job or pursuit, think it is my one true love and I have finally found my life’s work, etc., dedicate all my time and energy to it, and then, a few months to a couple of years later, grow utterly bored with it, lose all motivation to pursue it, and start searching for something new. This prevents me from ever developing deep expertise in a narrow field, and I don’t want to be a dilettante forever. Trying to find a job that you are passionate about really isn’t that important. Most jobs are either stressful or low-paying and most employees are unmotivated or incompetent. Even the good jobs are mediocre after a few years. This is nothing to be ashamed of or sad about. I say just pick something that pays the bills and stick with it. The one thing I learned from Tim Ferriss is that how you earn money does not define who you are. Enjoy the work that you do for the paycheck and chase your dreams on the weekend. I just wrote about facing a similar situation on Uncollege: The Juggler’s Dilemma. Rather than trying to focus in on one passion at the expense of the others, I’ve come up with a few techniques to keep indulging multiple interests without turning into the 9-project-wizard like old Ramit. I feel like my interests are all over the place. The same goes for what I’d like to have in a job. I want to make money, I want prestige, I want to write, I want to be powerful, I want to use my skill in attention to detail. How do I sort out what I’m good at, what I want from a job, and what I want to do, and arrange it in a heirarchy in order to find the right career for me? I’ve been following your posts for a long time. I have learnt a lot from them. However I really need more personalized advice. I am a doctor finishing a fellowship, now looking for a job. I know that u read all ur emails and posts. What is the best way to do this? Do you have a short session anywhere near Philly? When our choices are narrowed down, we are also faced with the motivation issue.. if you focus on one passion, chances are you may not be able to motivate yourself for long.. a better approach will be probably to look for new ways of doing things after certain period of time in your life.. read about all the successful internet entrepreneurs and you will find that they pursued multiple passions and activities to succeed..
Whoa, I follow your blog and it was one of the most insightfull of all! I tried many industries and many different jobs. Later I thought maybe I shold have stick with one also if I disliked it? Many people around me judged me about changing sooo many times. When I read Ramit’s blog I see that it’s absolutely okay to change if it’s a part of searching process and not giving up. If you hate sales or teaching or what-not then leave it and also: write it down for yourself what you hated in it the most. It will help you a lot later to choose your passion. Thanks Ramit for great video! You amazed me again! How did you decide between excellent jobs and projects to pursue? I understand this method is excellent for positions at companies, but what about for entrepreneurial ventures? Right now I work a job in construction, have patent pending on a product and have market tested it and I will be kickstarting it within the next month. AND I have a friend working on an app I told him I had the idea for and made the deal that he would produce it and I would market it. How did you trim down your projects and find the focus to launch IWTYTBR? Hey Matt, I don’t know about Ramit, but what works best for me as a wantapreneur/solopreneur is to choose one project at a time and automate. Create a 3-month, 6-month, or 12-month timeline to automation for one project, and then when that is running smoothly, add another project on top of that. The point is to be able to give primary focus to one project at a time so that eventually you have multiple projects running without too much work from you involved. As an example, below is my personal timeline. I have 5 different things I want to do, but I’m using 6-month time frames so I actually succeed instead of running around in different directions. My number 1 is my primary blog/podcast (for platform purposes), which I hope to have running pretty smoothly by end of December. Number 2 will (hopefully) be a kickstarter project on top of a secondary blog and membership site (in a completely different area), which should be running smoothly by end of June 2014. Number 3 depends on the success and scale of 1 and 2; it will be either an expansion of one of those or a new project to add on top. So even though it’s tempting to do all your different things at once, I strongly recommend forcing yourself to focus on just one or two, getting that running smoothly and successfully, and then moving on once you are satisfied with its progress. As John Dumas puts it, “Follow One Course Until Success” (FOCUS). Honestly, even though I have about 5 completely different primary passions, I really don’t have a problem with it, because I know to focus on one at a time. I do have a day job, but I’m given plenty of time to myself, so I really have as much time as I want for my own projects. I’ve laid out what I hope to accomplish in the next year. So at this point it’s just a matter of focus. So ultimately, for the solopreneurially-minded, it just takes strengths in focus and automation. Build one endeavor, get it running on a smooth system, and then work on another. 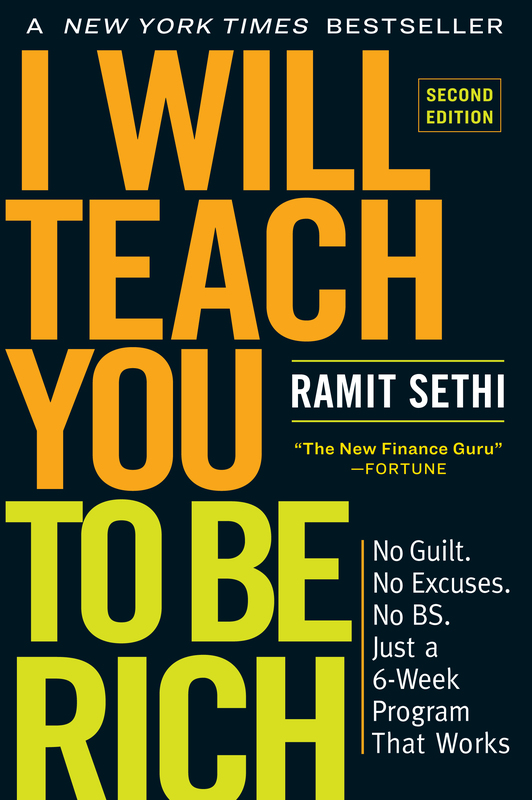 That said… Plug for Ramit: I’m also a DJ member and think he has a great system for people looking for careers as employees. The DJ principles apply to me, so you bet they apply to the people they are more specifically tailored toward. Listen to Ramit. It’s worth it. Thank you for another insightful post and video. Very helpful indeed. I find it frustrating having to choose which passion I should focus on. I’d love to develop and get my blog up and running by the end of the year, but I’m also keen to work on my photography skills. Choosing one over the other leads me to procrastinate and end up not doing the things I need to do to move things forward. As such, I’m currently looking at a few courses and accountability partners to keep me on track. I have a pet theory that most people would like their jobs a lot more across a variety of industries if their vacation benefits and job stability were similar to teachers. The closest example is government employment, but they still don’t get close to the time off teachers get. If anyone wants to reply below, I’m curious if you’d stick to a mediocre corporate career (or even something blue collar) which guaranteed you well paid summers off and a nice winter vacation and where you’d never get fired. FRIEND: The test helps you figure out what you should be doing with your life. FRIEND: That I’d be good at sales. But that was only my secondary aptitude. It said my true calling was guitarist. FRIEND: I know, not practical. But the test doesn’t take practicality into consideration. ME: But if guitar playing was really your passion, wouldn’t you have, I don’t know, started playing guitar a long time ago? FRIEND: I wish I’d known. I wish I’d taken the test a long time ago. ME: What I’m saying is, do you need a four hundred dollar test to tell you your interest is playing guitar? Isn’t it a better indicator if someone buys a guitar and starts playing? FRIEND: I’ve always had an interest in music. You know that. ME: You’ve always listened to music. Everyone listens to music, Scott. As a college freshman this is really helpful insight. We are encouraged to explore our current interests as well as find new ones. There is very little talk of narrowing our focus in life, only broadening it. This is great until we go out into the real world and don’t know what we want to specialize in. Thanks for sharing! I’m going to have to disagree with you on this one. I don’t think finding a “perfect job” is the right thing to do. I think it’s all about finding the “perfect you”. I have a psychology degree, which is a nice one to have, but it doesn’t automatically open up career doors. What it does allow me to do is help me analyse what makes me (really) happy, what I would do if I didn’t get paid to do it, and what impact I want to have on the world. Deep questions for a job hunt! I help people in my job. They change their way of life from following my advice. They thank me for spending time with them to help figure out their problems, and they tell people about what I do so I can help their friends. Powerful job description for a financial advisor. Find a job that allows you to do what you are good at and enjoy doing. It doesn’t matter what industry it is related to, it’s the job tasks that matter. I’m doing a lot of projects at a point of time, but definitely not 9! This is crazy. But it’s really stressful and tired as I’m always fighting for deadline. But I don’t like to just work on a single project as well. The risk is too high.